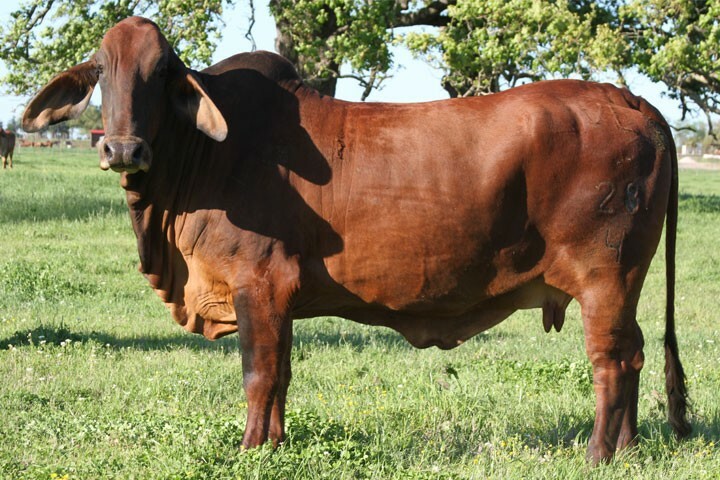 VL Elena 28/4 is a beautiful dark red female that exhibits beautiful American Red Brahman breed character. She is deep bodied, broody and has a long flat back and excellent hip. 28/4 is out of VL Elena 130/0 that has been a tremendous producer for Santa Elena. She has produced numerous replacement females. 130/0’s performance numbers are slightly above breed average, but her milk numbers would be among the best in the breed.